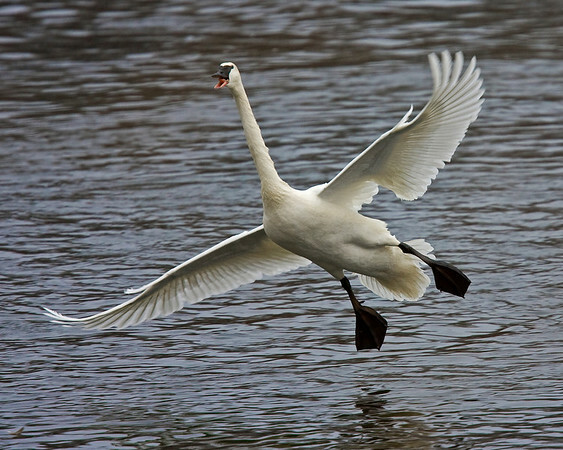 A collection of swan images. 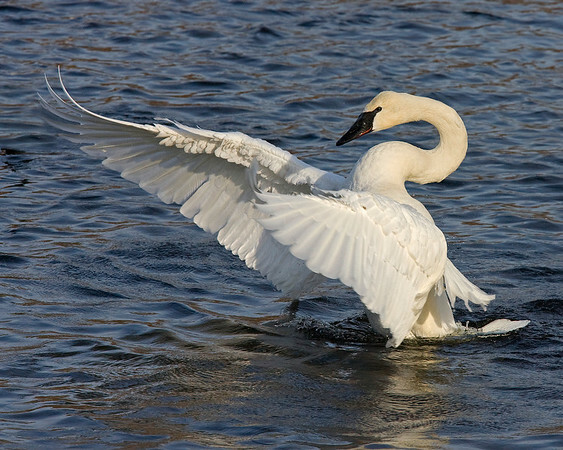 This photograph of a displaying Trumpeter Swan was captured on the Mississippi River in Monticello, MN (2/09). You can view a wonderful pencil rendition of this photo at Kelli Swan's Cygnet Graphics This photograph is protected by the U.S. Copyright Laws and shall not to be downloaded or reproduced by any means without the formal written permission of Ken Conger Photography. 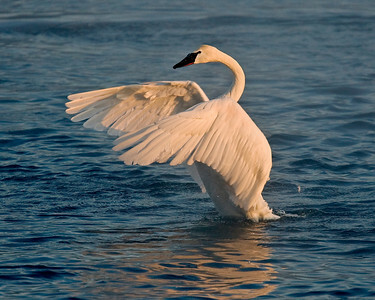 This photograph of a displaying Trumpeter Swan was captured on the Mississippi River in Monticello, MN (2/09). This photograph is protected by the U.S. Copyright Laws and shall not to be downloaded or reproduced by any means without the formal written permission of Ken Conger Photography. 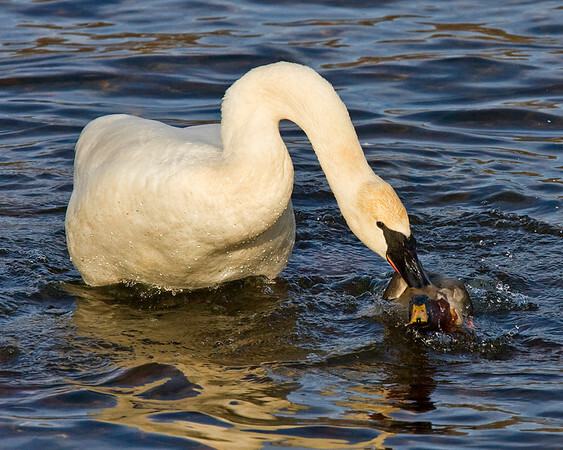 This photograph of Trumpeter Swans attacking a male mallard was captured on the Mississippi River in Monticello, MN. (2/09). This photograph is protected by the U.S. Copyright Laws and shall not to be downloaded or reproduced by any means without the formal written permission of Ken Conger Photography. 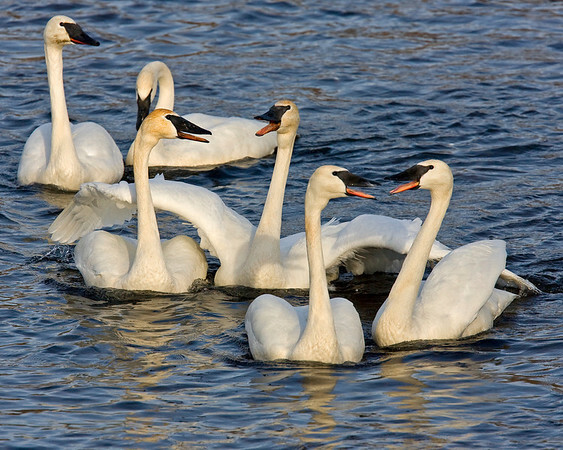 This photograph of yakking Trumpeter Swans was captured on the Mississippi River in Monticello, MN (2/09). This photograph is protected by the U.S. Copyright Laws and shall not to be downloaded or reproduced by any means without the formal written permission of Ken Conger Photography. 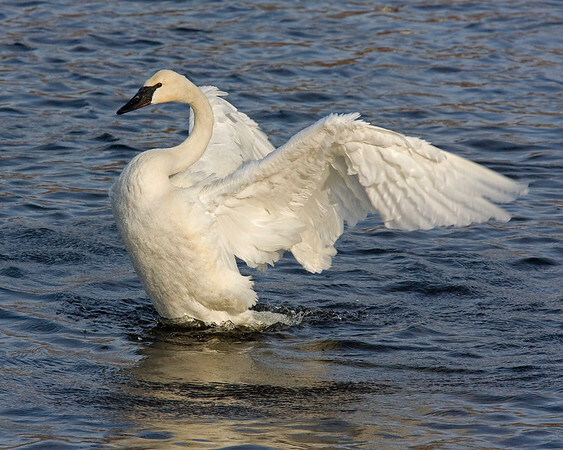 This photograph of a Trumpeter Swan was captured on the Mississippi River in Monticello, MN (2/09). This photograph is protected by the U.S. Copyright Laws and shall not to be downloaded or reproduced by any means without the formal written permission of Ken Conger Photography. 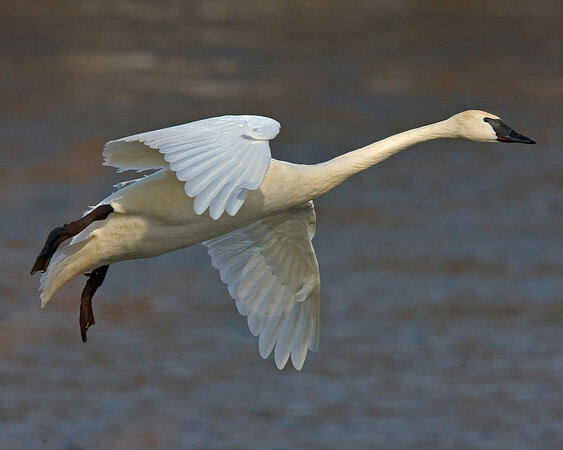 This photograph of a flying Trumpeter Swan was captured on the Mississippi River in Monticello, MN (2/09). This photograph is protected by the U.S. Copyright Laws and shall not to be downloaded or reproduced by any means without the formal written permission of Ken Conger Photography. 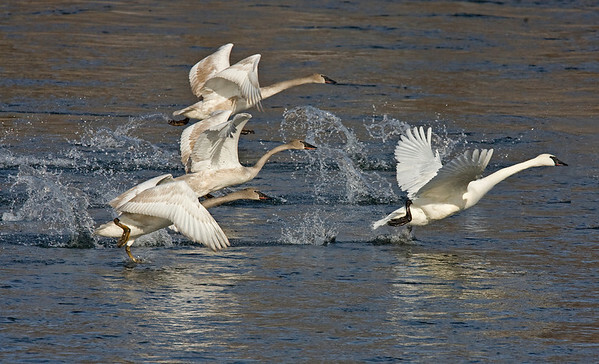 This photograph of taking off Trumpeter Swans was captured on the Mississippi River in Monticello, MN (2/09). This photograph is protected by the U.S. Copyright Laws and shall not to be downloaded or reproduced by any means without the formal written permission of Ken Conger Photography. 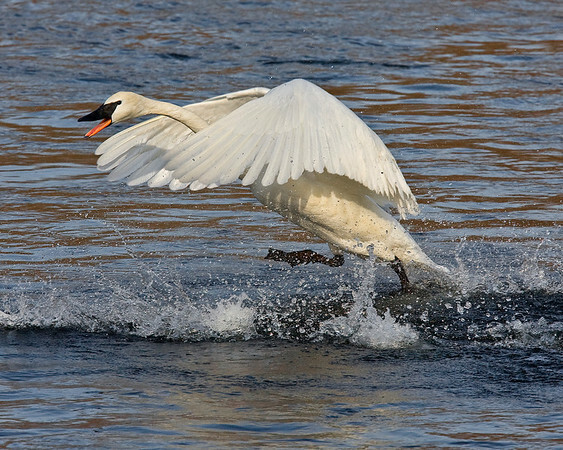 This photograph of a running Trumpeter Swan was captured on the Mississippi River in Monticello, MN (2/09). This photograph is protected by the U.S. Copyright Laws and shall not to be downloaded or reproduced by any means without the formal written permission of Ken Conger Photography. 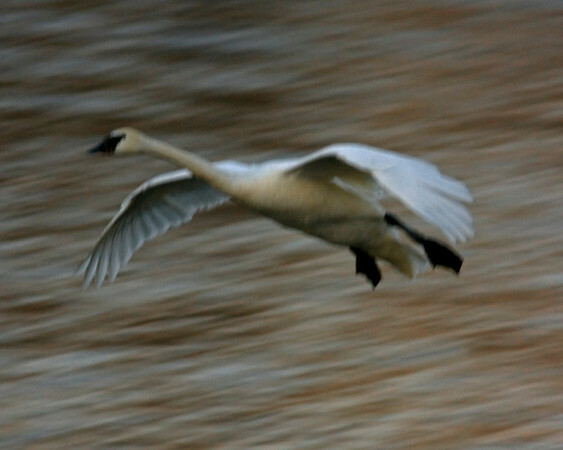 This photograph of a flying Trumpeter Swan was captured predawn on the Mississippi River in Monticello, MN (2/09). This photograph is protected by the U.S. Copyright Laws and shall not to be downloaded or reproduced by any means without the formal written permission of Ken Conger Photography. 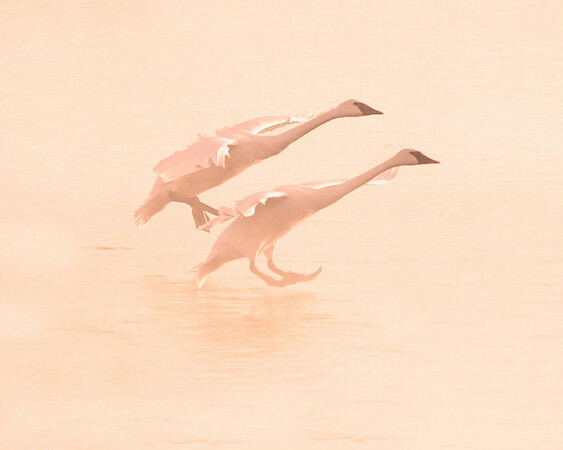 This photograph of Trumpeter Swans during the early foggy morning was captured on the Mississippi River in Monticello, MN (2/09). This photograph is protected by the U.S. Copyright Laws and shall not to be downloaded or reproduced by any means without the formal written permission of Ken Conger Photography. 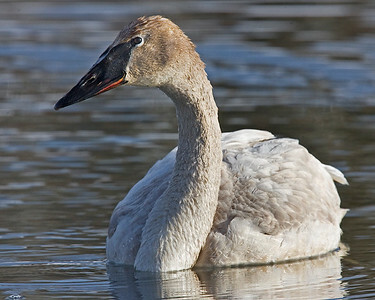 This photograph of a immature Trumpeter Swan was captured on the Mississippi River in Monticello, MN (2/09). This photograph is protected by the U.S. Copyright Laws and shall not to be downloaded or reproduced by any means without the formal written permission of Ken Conger Photography. 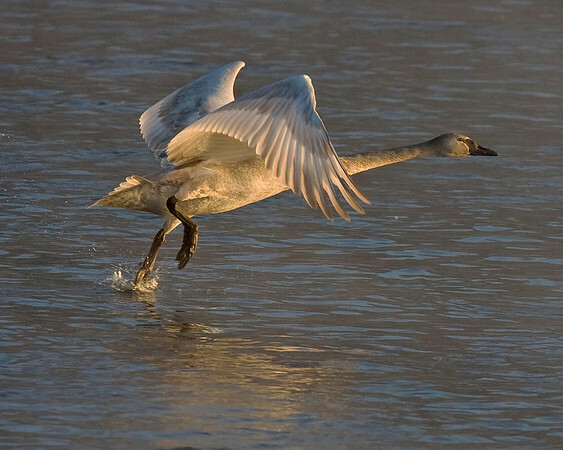 This photograph of a flying immature Trumpeter Swan was captured on the Mississippi River in Monticello, MN (2/09). This photograph is protected by the U.S. Copyright Laws and shall not to be downloaded or reproduced by any means without the formal written permission of Ken Conger Photography. 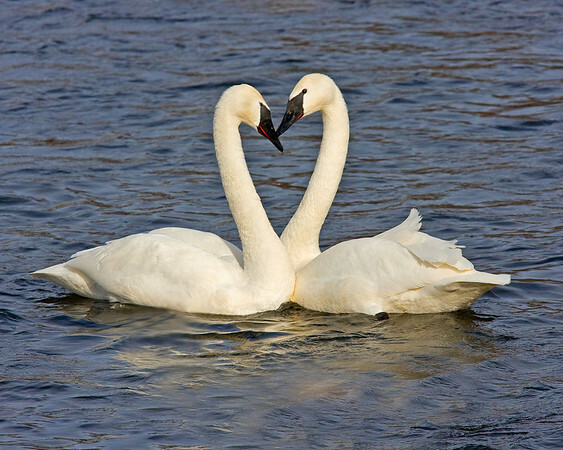 This photograph showing Trumpeter Swan mating behavior was captured on the Mississippi River in Monticello, MN. I was hoping for a tad better heart shape but this was the best of the series (2/09). This photograph is protected by the U.S. Copyright Laws and shall not to be downloaded or reproduced by any means without the formal written permission of Ken Conger Photography. 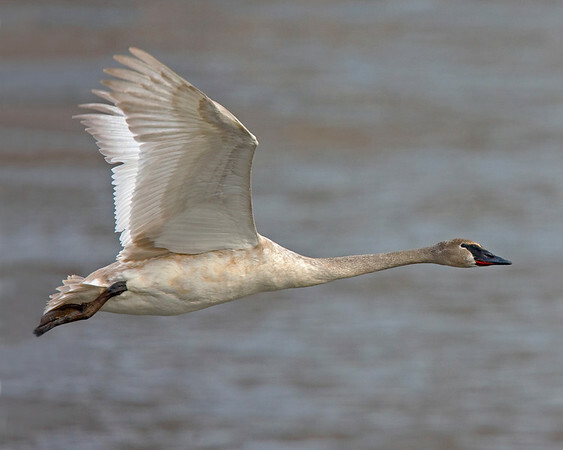 This immature Trumpeter Swan photograph was captured in Grand Teton National Park, Wyoming (4/10). This photograph is protected by the U.S. Copyright Laws and shall not to be downloaded or reproduced by any means without the formal written permission of Ken Conger Photography. 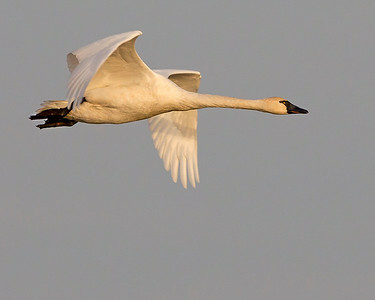 This photograph of a flying Tundra Swan was captured at Chincoteague National Wildlife Refuge, VA (11/11). This photograph is protected by the U.S. Copyright Laws and shall not to be downloaded or reproduced by any means without the formal written permission of Ken Conger Photography. 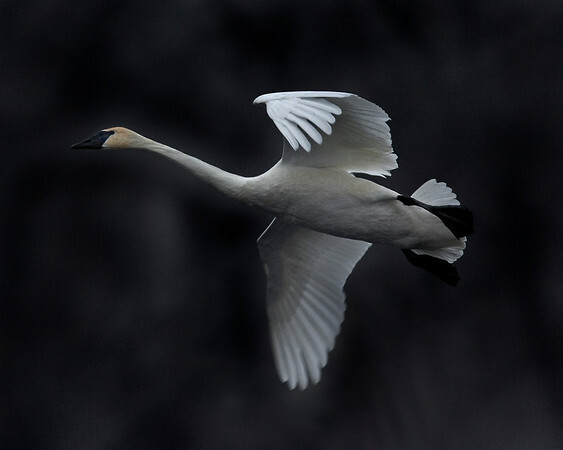 This photograph of a flying Trumpeter Swan was captured predawn on the Mississippi River in Monticello, MN (2/09).